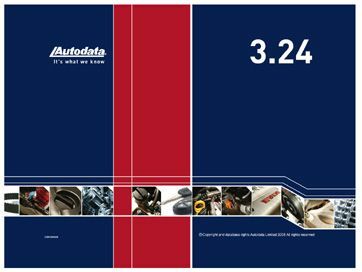 Autodata core business is the research, compilation and creation of technical information for use in independent automotive workshops for the repair and service of cars, motorcycles and commercial vehicles. Although most of these workshops are non-franchised, ranging from small garages to large groups, fast-fits and a variety of specialists, a growing number of franchised workshops also need information on other manufacturers vehicles. Technical data, vehicle identification, service adjustments, lubricants and capacities, ignition system, fuel system, tightening torques, brake discs and brake drums, repair times, wheel alignment, timing belts, timing chains and gears, tyre sizes and pressures, service illustrations, service schedules, service interval indicators, key programming, diagnostic trouble codes, engine management systems, pin data, trouble shooter, airbags/SRS, air conditioning, ABS, electrical component locations and wiring diagrams.